The tall Pillar illustrated above is an unlikely candidate for heroic adulation. However, the riots that have broken out in Maharashtra, in Koregoan in particular, have everything to do about the identiy marinated History that passes off as Historiography in post colonial India. It comes as no surprise to me that JNU is at the forefront of the recasting of the memories associated with the Koregoam Memorial. January 1, 2018 marked the 200 year of the defeat of the Peshwa at the hands of the East India Company and one can expect that the defaet of an Indian ruler will be seen as a tragic act in the long drama of India's decline into servitude. Not so. The defeat of the Maharattas is celebrated by those who make the annual visit to this Memorial which commenmorates the victory of the East India Company over the Mahratta Forces. Like the debate over the statues of dead Confederate soldiers in the American South, the Koregoan Memorial has been appropriated to serve a counter narrative. The contestation of memory engendered by Identity Politics is wholly inappropriate and makes a supreme mockery of the craft of writing History and Memoria. The defeat of the Mahrattas in 1818 sealed the fate of India as the Nizam of Hyderabad had already joined hands with the Engliah and was brought into the frame work of the Subsidiary Alliance. The Mahratta Confederacy held out but it was weakened by the internal quarrels of the Sardars. The Scindias were the first to join hands with the East India Company and the Gaikwads and the Holkars followed suit. The Peshwa was left without a fighting force and there was hardly any revenue at his disposal. But he happened to be a Chitpavan Brahmin and therefore the defeat of the Peshwa become a victory against "oppressive caste system". The counter narrative that transforms the Peshwa into a symbol of caste oppression and therefore the defeat of the maharttas at the hands of the East India Company becomes a potent symbol of caste liberation. The Independent MLA from Gujarat, Jijnesh Melwani has endored precicely this counter narrative. The reason for celebartion of Peshwa's defeat is not hard to find. 900 "Mhar" soldiers led by Col. Staunton defeated an army of nearly 20,000 Mahratta troops. The English Parliament was estatic and in the Parlimantary debates of 1818 the battle figured almost as prominently as the one that ended Napoleon's rule in Waterloo in 1815. 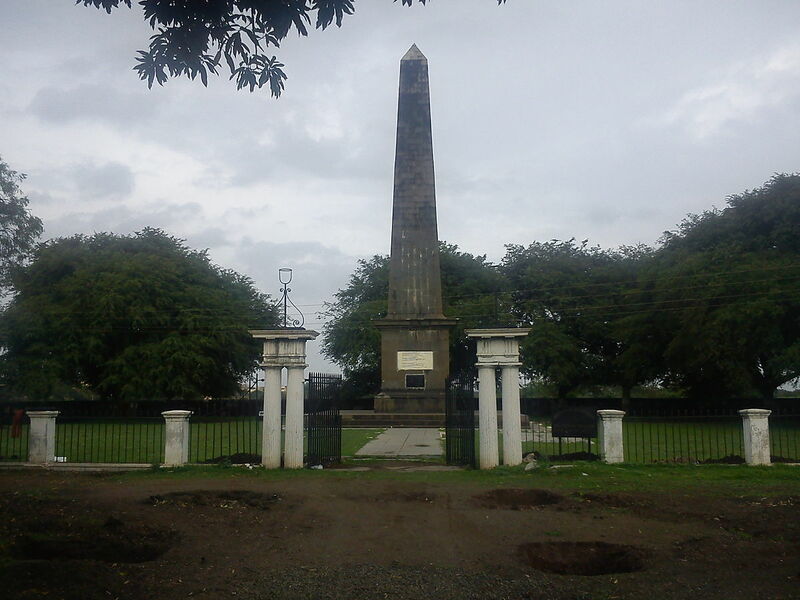 The Koregoan Memorial was commissioned by the East India Company in the bright afteglow of victory. The participation of "mahar" soldiers in the Battle and the fact that it ended Mahratta Rule made the Koregoab Memorial a potent symbol of Identity Politics. Dr B R Ambedkar visited the Memorail on January 1, 1927 and declared,"We are here to remember that our Mahar forefathers faught bravely and brought down unjust Peshwa rule". It matters little that Peshwa rule by this time had becoem hollow and most of the Mharatta Confederacy was ruled by Maharatta Sardars who were either of Dhangar origin like the Holkars or belonged to lesser castes which are today listed as Scheduled Castes, the Shides, the Gaikwads, the Bonseles etc. I am bringing this point up only to underscore the point that power in the late Mahratta Empire had slipped from the hands of the Peshwas and was firmly in the hands of the Sardars and yet the Chitpavan Brahmins become a convenient whipping boy. This misue of History as a hand maiden of Identity Politics is what makes contemporary post colonial historiography both bad and dangerous. What is the evidence for concluding that 900 mahars were responsible for the defeat of the Peshwa/Mahtratta Army. The Memorial erected by the East India Company gives us the names of the soldiers who perished in the battle and some of the names end in "nac" and it is therefore concluded that they belonged to an SC caste. Even in the case of the Madras Army the bulk of the recruits came from the so called "paraiah" caste. The civil conflict that is raging in Mahrashtra is a direct outcome of the Identy Politics grounded in false History as I have shown.